Brazil midfielder Lucas Paqueta has transferred to AC Milan from Flamengo and signed a five-year contract with the seven-time European champion. While the transfer fee was widely reported as 35 million euros ($40 million), Milan did not disclose financial details in announcing the deal on Friday. Paqueta will begin training with the club on Monday and be presented to the media a day later. 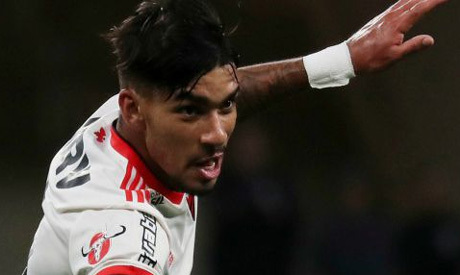 The 21-year-old Paqueta made his debut for Brazil's national team in friendlies against the United States and El Salvador in September.